Discover the science of the top health benefits of swimming! Any swimmer knows that they get a great work out during swim practice, but do you know some of the top five health benefits of swimming? 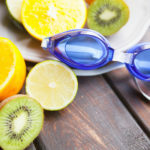 Whether you are a competitive swimmer or just looking to become a healthier person, exercise combined with healthy eating and good habits can lead to an improved mood and physical condition. But, what about swimming specifically makes it so good for you? What is happening inside your body every time you jump into the water? And why is it that, according to medical professionals, swimming is considered one of the best aerobic exercises you can do? We wondered these things, too, so that’s why we did the research for you. Read on to learn our top five health benefits of swimming! Benefit #1: Your heart beats better. When you swim you are using your whole body, which means you are working harder than you would while running or jogging. This gets your heart rate up at a higher level. When your heart rate goes higher, you build endurance and strength in the muscle fibers of the heart. As a result, when your heart returns to a resting rate, it doesn’t have to work as hard. Swimming also helps your blood sugar levels and blood pressure. Benefit #2: Your lungs hold more air. Did you know your lungs are a learning organ? When you swim, you hold your breath. In that moment, your lungs are forced to use the oxygen they have in them to create the energy you need as you move. When you give them less oxygen to work with, they must absorb what you already have more effectively. 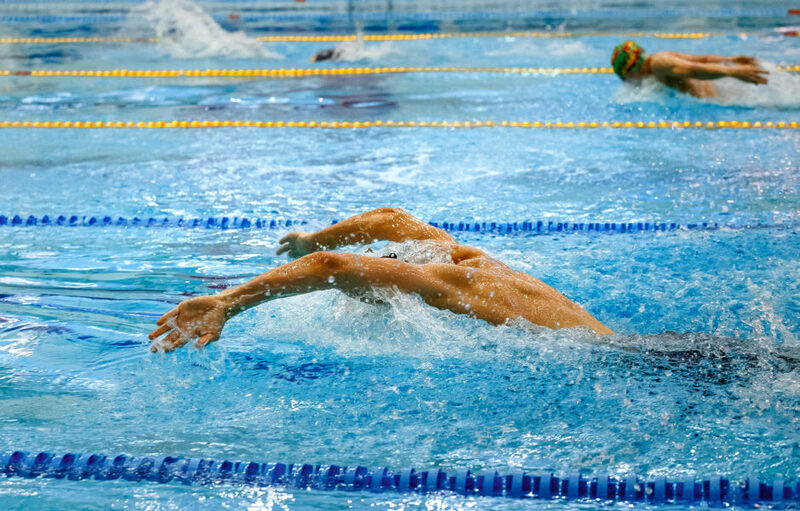 Many competitive swimmers train their lungs to use less oxygen. As a result, in and out of the water your lungs become more efficient, allowing you to use them longer. Benefit #3: You give your joints a break. Gravity is hard on your body. Swimming allows your body to get a break from the pressure of it. In water, your body has more buoyance, or in other words, the water is supporting your weight. This allows your joints to take a break giving them time to heal or recover if need be. For that reason, swimming is a recommended exercise for people who suffer from arthritis. Benefit #4: Your body loses more weight. The human body is actually able to burn more fat underwater than while doing a ground-based exercise like running. Your body doesn’t have to worry about getting rid of heat underwater. Instead, the water naturally does this process for you, letting your body burn more energy while spending the same amount of effort. The butterfly stroke can especially burn through calories! Benefit #5: Your mood improves. A medical study done in 2007 showed that the effects of water on your body decrease your stress hormone levels, simulating an anti-depressant. This means that when you swim, your body experiences less stress and your body is able to kick start the production of dopamine, your “happy chemical,” again. Since swimming is also very repetitive, the rhythmic nature of swim strokes also creates a meditative effect that helps relieve tension. Ready to start improving your health and your swim technique?